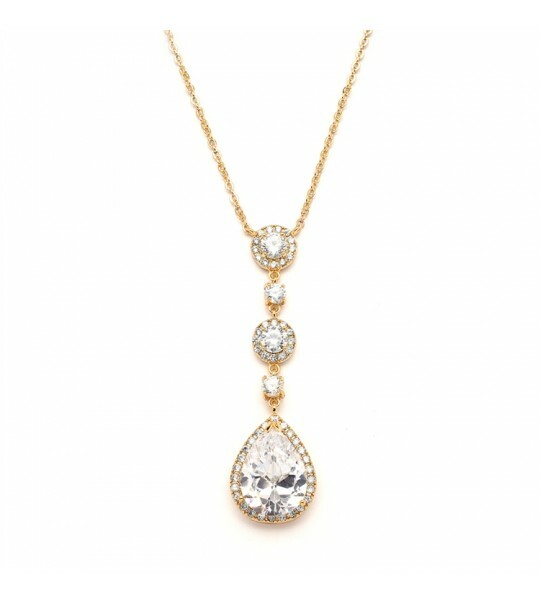 Wear this gorgeous vintage inspired CZ 14K gold plated adjustable 16'' - 18'' necklace for a glamorous look on your special day. 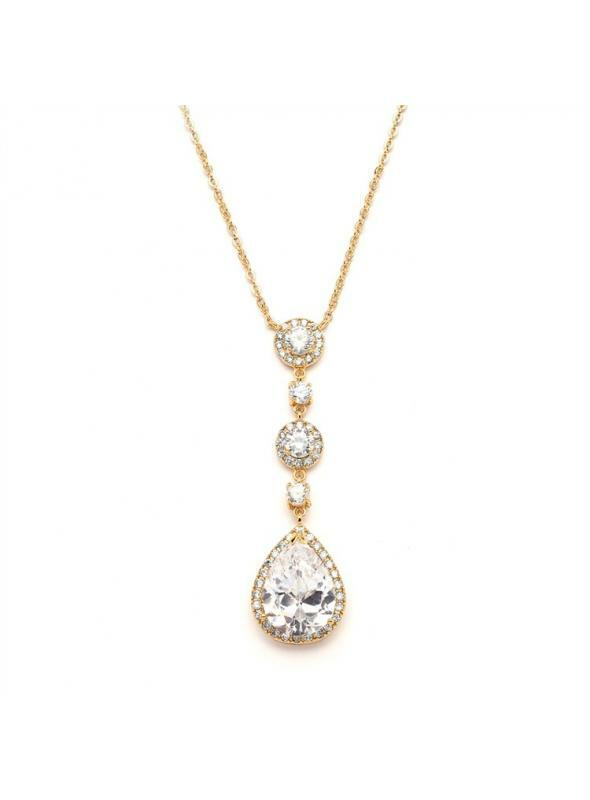 Wear this gorgeous vintage inspired CZ 14K gold plated necklace for a glamorous look on your special day. 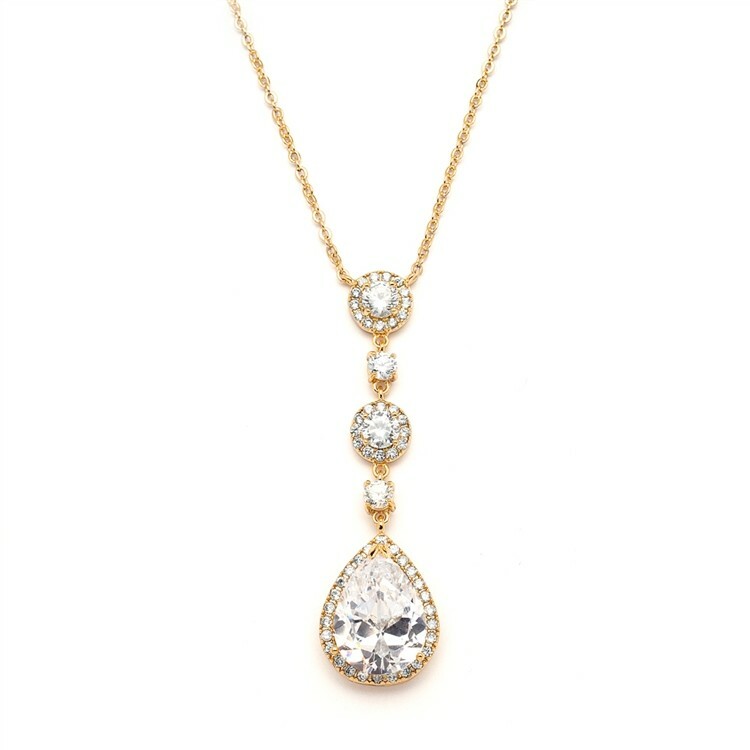 This beautiful 16'' - 18'' adjustable necklace features a 2 1/4'' h pendant and is a best-selling accessory for brides and second time around brides. 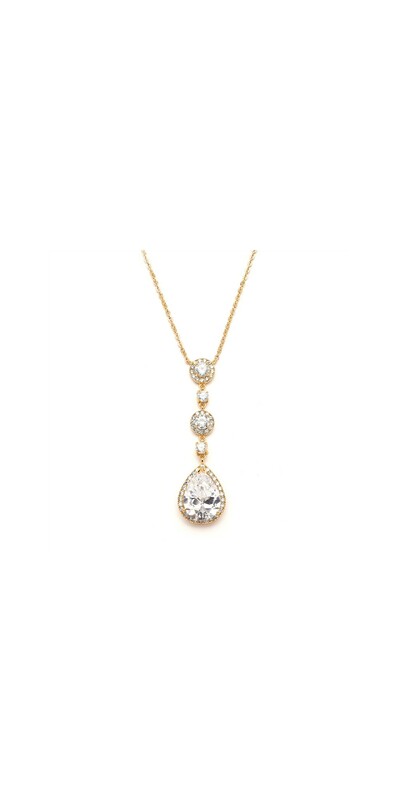 A gorgeous vintage inspired pear-shaped CZ drop 14K gold plated necklace featuring pave framed rounds is a best-selling accessory for any bride and second time around bride to create a glamorous, special look. 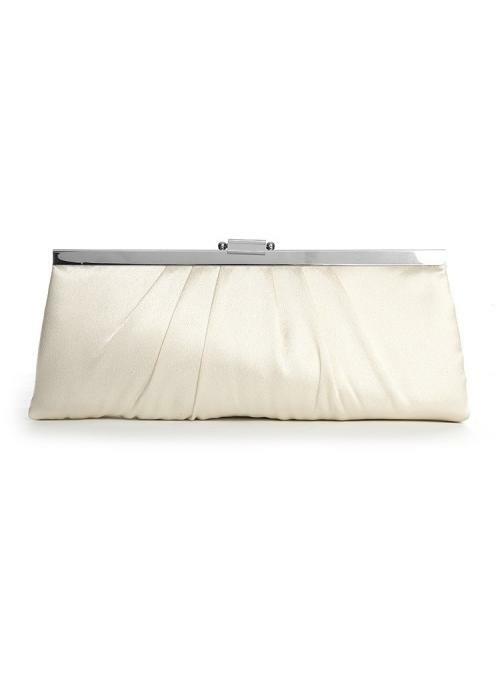 If you're looking for beautiful gold jewelry to accessorize your special occasion gown, look no further. 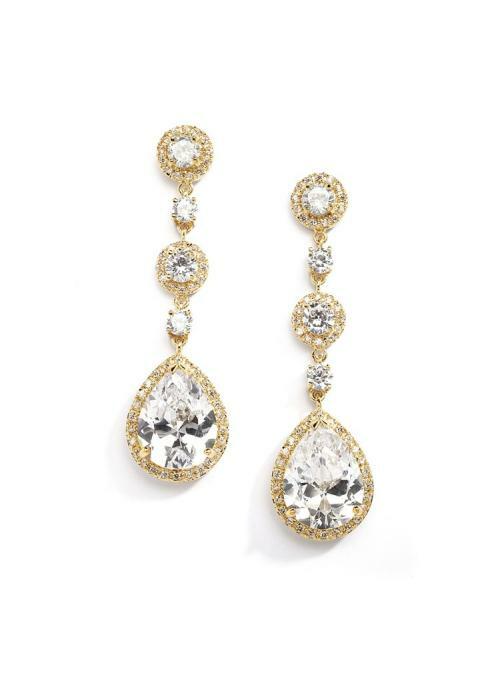 This lovely cubic zirconia necklace has matching pierced earrings as style 400E-G and clip on earrings as style 400EC-G to best compliment your entire outfit.